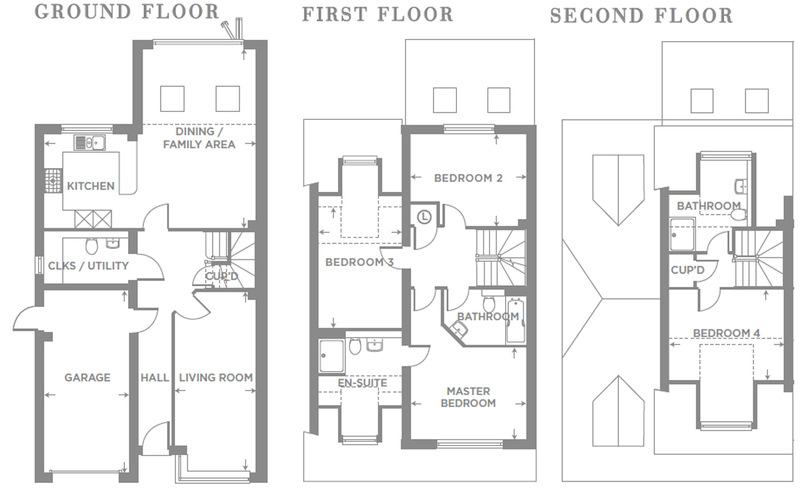 Images show a typical Martin Grant Homes show home and should not be relied upon for specification detail. The specification may be liable to change due to availability of materials and changing products. Information correct at the time of going to press. NOTE: Plots 7, 9, 11 & 13 are handed. The computer generated illustration shows plots 7 & 8 in a mature setting and is for general guidance only. Floor plans are not to scale. All room dimensions are approximate and are for general guidance only. 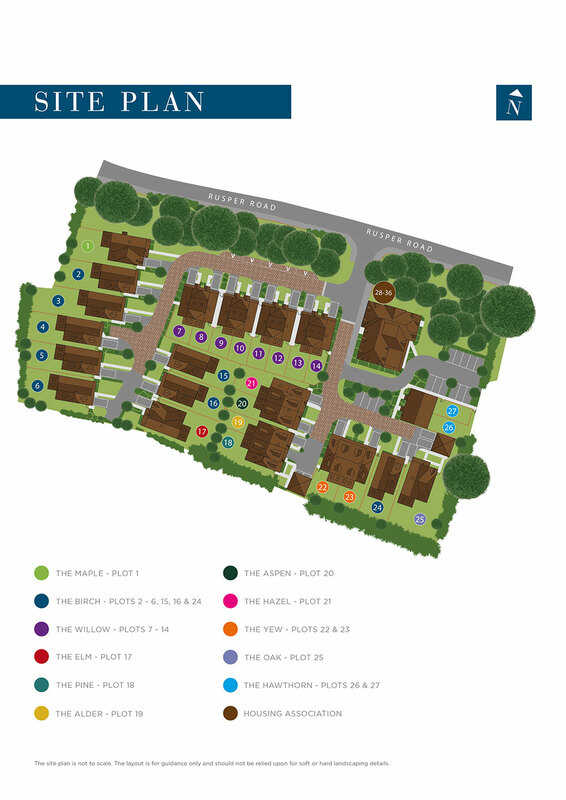 A stunning development of 3, 4 and 5-bedroom family homes set in the rural village of Ifield. 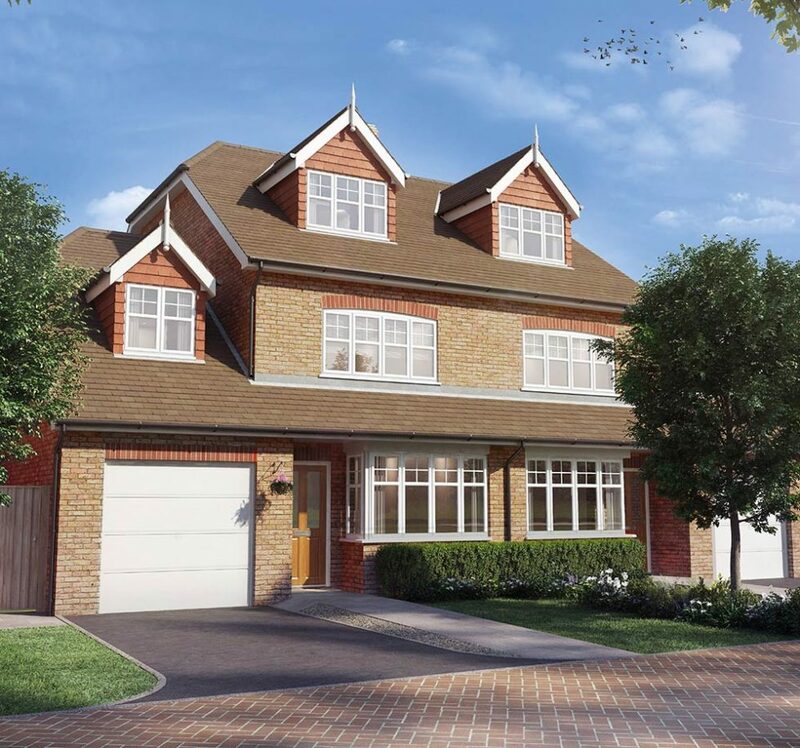 Located within the 'Gatwick Diamond' with excellent road and rail links to London and the south coast.